David Ignatius writes a twice-a-week foreign affairs column for the Washington Post and contributes to the PostPartisan blog. Ignatius has also written eight spy novels: “Bloodmoney” (2011), “The Increment” (2009), “Body of Lies ” (2007), “The Sun King” (1999), “A Firing Offense” (1997), “The Bank of Fear” (1994), “SIRO” (1991), and “Agents of Innocence” (1987). Body of Lies was made into a 2008 film starring Leonardo DiCaprio and Russell Crowe. Ignatius joined The Post in 1986 as editor of its Sunday Outlook section. In 1990 he became foreign editor, and in 1993, assistant managing editor for business news. He began writing his column in 1998 and continued even during a three-year stint as executive editor of the International Herald Tribune in Paris. Earlier in his career, Ignatius was a reporter for The Wall Street Journal, covering at various times the steel industry, the Justice Department, the CIA, the Senate, the Middle East and the State Department. Ignatius grew up in Washington, D.C., and studied political theory at Harvard College and economics at Kings College, Cambridge. Ignatius served as a Fisher Family Fellow to the Future of Diplomacy Project at Harvard Kennedy School in 2010 and was a visiting faculty member during the spring semester of 2012. 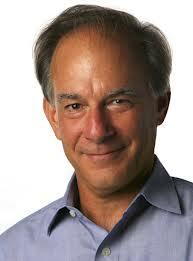 See below for a sampling of David Ignatius' Washington Post columns. For his most recent columns, see the Washington Post.